Guest Post: Hermi Emma and Beauty Belle — Lady of the Rings? This Guest Post and brilliant ring exegesis is from Susan Raab (SusanRaab.com), a marketing strategist, high-conversion copywriter and best selling ghostwriter who not-so-secretly (she told me!) prefers reading the latest HogPro recommendation late into the night, or teaching another “Christian Content in Harry Potter” class for her contemplative prayer group, or architecting ring structure for her own book (not as easy as it looks). 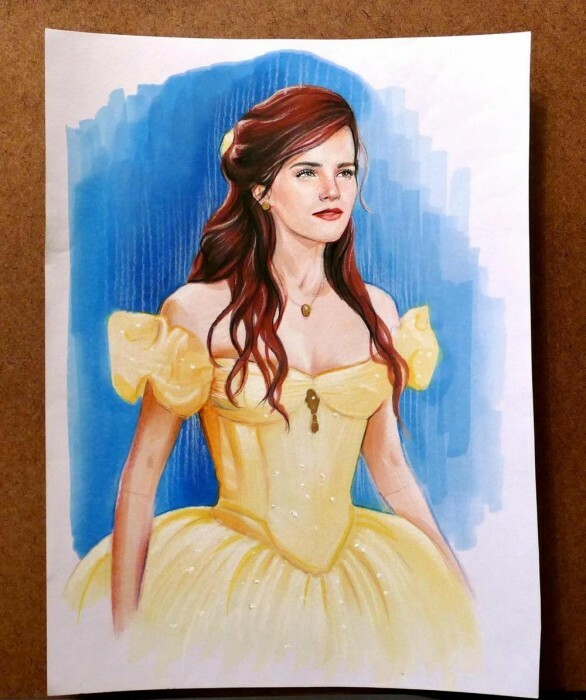 With the news that Emma Watson has been cast as Belle in the upcoming live version of Disney’s Beauty and the Beast, the Internet has developed a rash of comparisons between Hermione and Belle. 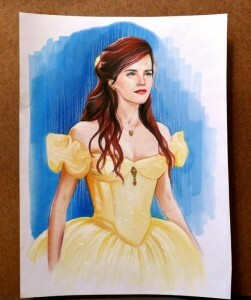 Beauty and the Beast shares a lot more with Harry Potter than just Emma Watson. Have you ever noticed that as musical theater, Beauty and the Beast is virtually indestructible? A couple of summers ago, our local outdoor theater company produced it with local talent, and the result was more than a little rough around the edges. But the truth is, no one’s gloomy or complaining when the flatware’s entertaining… especially with knives, forks, spoons and salt and pepper shakers gleefully skipping about, all under the age of eleven and terminally cute. And those napkins! Completely adorable. Well, be that as it may… it drew more patrons and made more money than any other family show since the last time it was produced, beating Peter Pan, Shrek, Once Upon a Mattress and others less memorable. 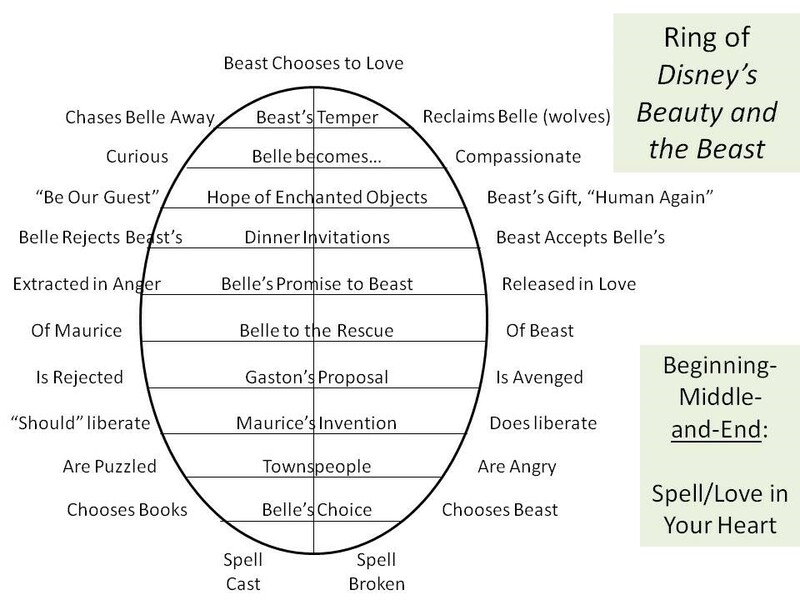 So WHY is Beauty and the Beast indestructible, even by the most rank of local talent? Faithful readers of Harry Potter as Ring Composition and Ring Cycle will not be surprised… yes, there’s a ring in there, even in musical theater. Here’s the illustration, John Granger style. This didn’t happen by accident. I’m sure Howard Ashman & Linda Woolverton created this symmetry intentionally. And that whoever is chosen to direct this movie will not be able to screw it up! I look forward to this great story’s continuing edification of those who choose to believe in the power of love in your heart. I like the diagram! I’m working on building ring composition into my own writing: like you said, harder than it looks! It’s really helpful to get a visual.